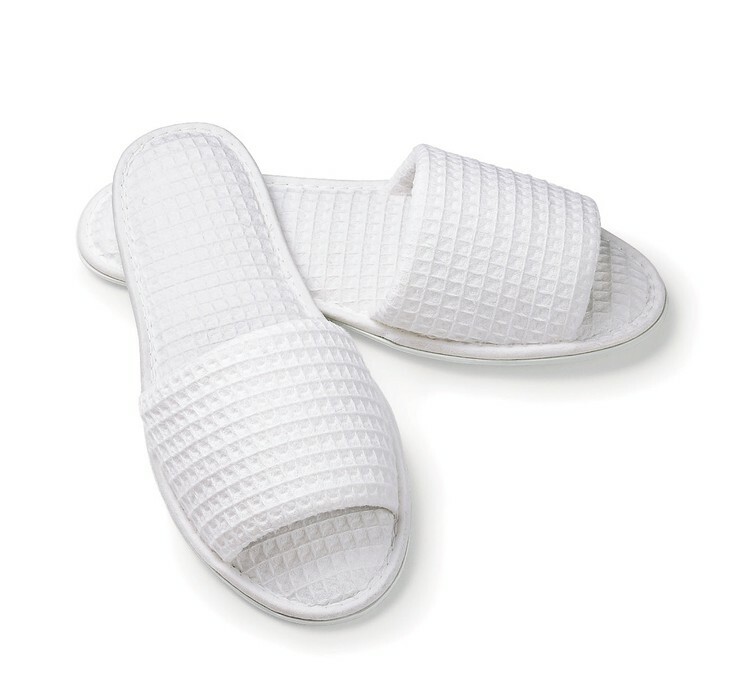 Waffle slippers have a non skid PVC sole with extra foam in the vamp and bottom for extra comfort. Cotton/poly blend. Custom Orders: All products can be customized with regard to style, color and size. Please call for additional information.